An upgraded version of the EL/M 2080 is called the EL/M 2080S or the “Super Green Pine.” The Super Green Pine is made up of smaller sensor modules that are more powerful than those used by its predecessor. The EL/M 2080S has an approximate range up to 900 km, compared to 500 km on the original EL/M 2080. 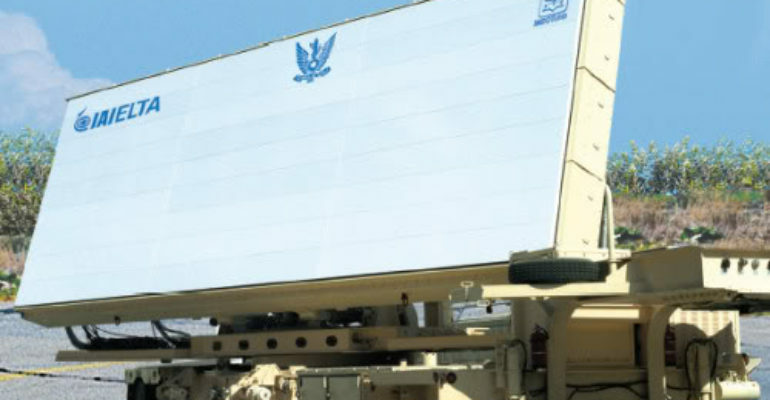 February 2012: Israel had a successful test of the Super Green Pine radar with the Arrow system. This was the first tracking test for the ELM 2080S. April 2008: Green Pine aided the Arrow system in targeting more advanced ballistic missiles. The Arrow successfully intercepted Rafael’s new target missile. July 2004: The first Arrow 2 test against real missiles. The Green Pine aided the Arrow 2 in seeking and intercepting a Scud-B short-range ballistic missile.